Benefits of Tree Pruning | Goldberg & Rodler, Inc.
Fall is here! Fall is full of fun festivals and corn mazes but don’t let those distract you from thinking ahead in regards to your trees. We’re at the tail end of hurricane season and at the beginning of harsh weather in the form of heavy snow, ice, and strong winds. Fall is the time for pruning large and ornamental trees. The benefits of pruning a tree include safety and aesthetics. Heavy snow loads, ice storms and strong winds can cause healthy as well as diseased and dead limbs to break off and drop under the stress. Removing dead wood and lower limbs can prevent debris damage from falling limbs while providing a crisp and clean new look. When the limbs are thinned out, it allows for more light and air to pass through and the under story planting will thrive. Ever see a tree sway slightly in the breeze? It might look dangerous, and it can be if the canopy is so thick that the wind moves the tree as one piece but when that wind can pass through as well as around the canopy, that makes a tree stronger. The tree is basically developing “muscles” to help it weather future winds. Small trees can be pruned more easily than large trees but you will always get better results from a professional. Large trees require the help of climbers, trucks, machinery and arborists with a vast knowledge of tree growth habit. You don’t want a novice climbing up 100 feet above the ground level. 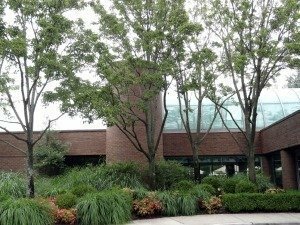 Experienced arborists, like our own Gary Carbocci of Tree Care Long Island a division of Goldberg and Rodler, can evaluate the trees and surrounding landscape and make recommendations based on years of experience and expert knowledge. Goldberg & Rodler will execute the whole process with professionalism and dedication to bring safety and clarity to your landscape. 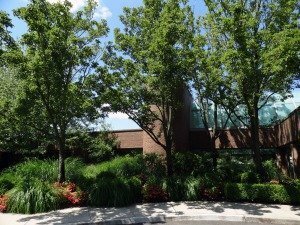 See our before and after gallery of the trees we recently pruned in the front of Gurwin Jewish Geriatric in Commack, NY.